These blurbs originally appeared in the GOOD EATS RVA section of RVA #31 WINTER 2017. You can check out the issue HERE or pick it up around Richmond now. After seven years, Carytown French eatery Amour Wine Bistro closed this summer. Now a new business has sprung up in its place, and between the food, the charm, and the passion of the owners, it’s destined to work its way into Richmond food lovers’ hearts. The Broken Tulip Social Eatery opened its doors for dinner Nov. 17. Sariann Lehrer and Chef David Crabtree-Logan, the husband and wife team behind the restaurant, have been dreaming of a place of their own since meeting at a country pub in England years ago. 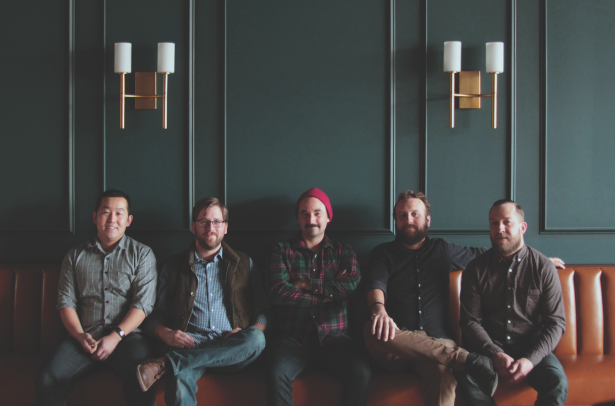 It wasn’t until after multiple restaurant gigs, a cookbook based on the food in Game Of Thrones, and a few years of underground supper clubs in their Portland home that they decided to take the leap and open their own place. 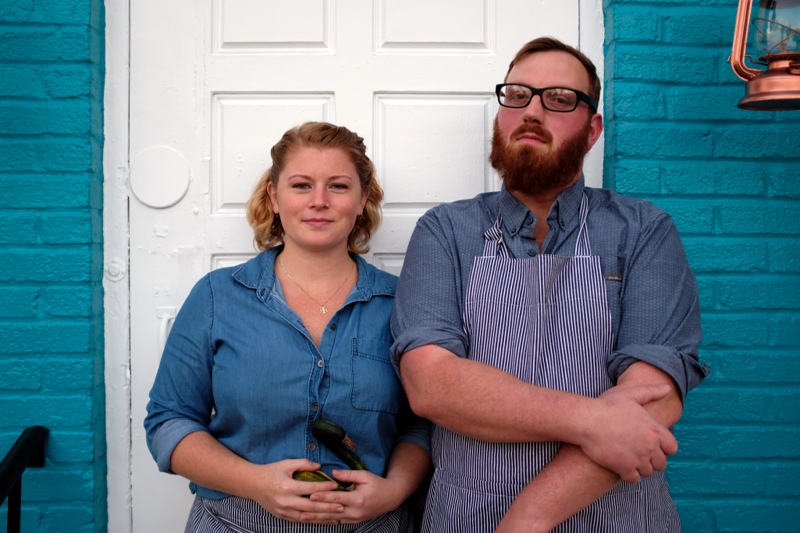 To expand on their supper club idea, the couple scouted potential spots in the South to open their first endeavor and ultimately, landed on Richmond. Crabtree-Logan has a pretty extensive culinary resume. A Scotland native, the chef his first gig at Susie’s Wholefood Diner in Edinburgh. He worked his way up to Michelin-starred places like The Kitchin and The Plumed Horse, and cooked his way through Ireland, Yorkshire and other parts of the world, all which influence his cooking style. Lehrer, on the other hand, didn’t immediately reach for the chef hat when she set out for a career. Raised in Connecticut, she earned her degree in Animal Science from the University of Vermont, but instead, worked stints at a plastic surgeon’s office and an investment bank before launching a Game of Thrones food-inspired blog with a friend on a whim. Her blog was published into a 50-page cookbook, A Feast of Ice and Fire: The Official Game of Thrones Companion Cookbook, in 2012, and from there she went on to pursue her culinary career in England. 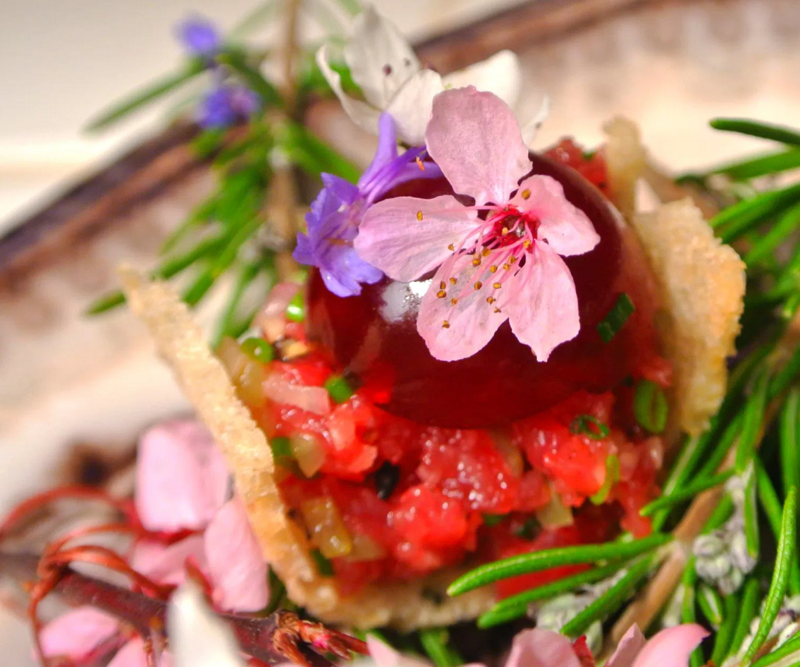 The Broken Tulip can’t really be pigeonholed as one type of restaurant, as it serves a six-course, ever-changing “tasting” menu. But the owners are sourcing mostly from Virginia farmers and fishermen along the East Coast. Right now, The Broken Tulip works with Tricycle Gardens, Polyface Farms, Goats R Us, and Whippoorwill Farm, and they’re looking to grow that list. The cozy, intimate space is rustic and inviting. Three large communal farm tables, topped with mason jars of wildflowers, offer seating for 24 with a small bar in the back. Not wanting to stick to a rigid nightly menu, Chef Crabtree-Logan will switch it up weekly, depending on what farmers and other local producers have available. 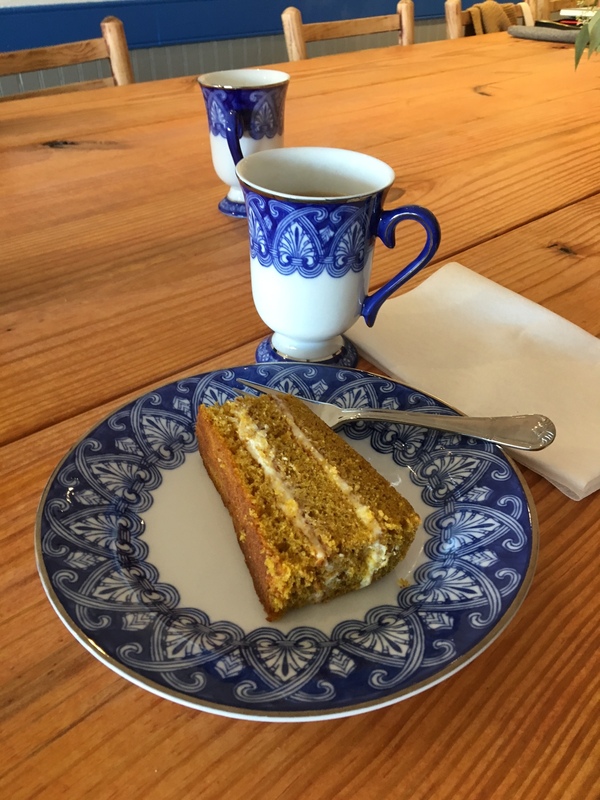 The week I visited, the menu featured parsnip soup, tilefish, duck breast, and pumpkin layer cake with cream cheese filling (pictured below). The couple also plans to feature menus that pull dishes from places they’ve traveled, like the Middle East, but source ingredients locally. 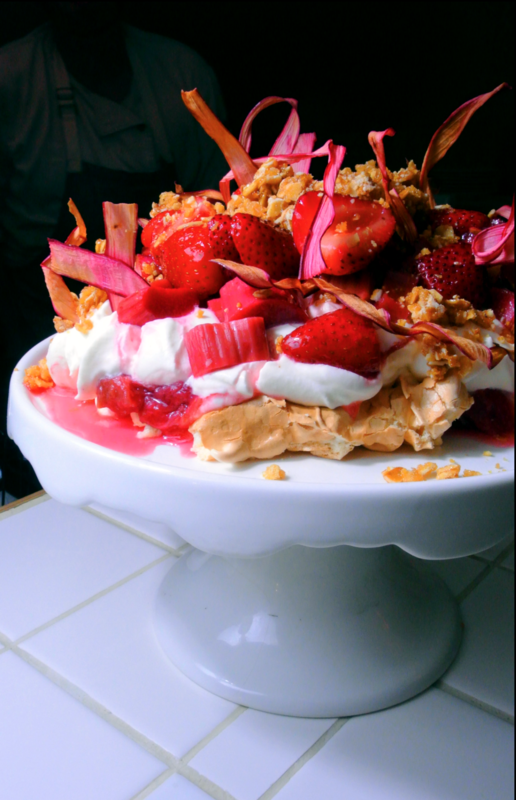 The Broken Tulip runs two seatings for dinner, at 6 pm and 8:30 pm Thursday through Saturday. Dinner is $50 for the six-course menu, and $42 to add wine. Sunday Brunch costs $35. 3129 W. Cary St.
A new cocktail bar is slated to shake its way into Carytown later this year. No, Tom Cruise won’t be dazzling patrons with his flair and tricks, but two well-known, award-winning Richmond bartenders and one restaurateur have joined together to sling drinks at their own joint, The Jasper. The Jasper’s menu will feature everything from specialty cocktails to canned domestic beers, as well as local drafts, and curated wines and spirits. Hägglund is a whiskey man himself, while Liu prefers a good Negroni–a cocktail made with one part gin, one part vermouth rosso, one part Campari, and garnished with orange peel–so expect to see at least those two drinks served at the upcoming spot. Small plates will be also served to fill thirsty imbibers, and the full menu will be available until closing time. Menu specifics are still under wraps, but will be revealed closer to the opening date. The owners will pour some life back into the closed storefront with the help of interior designers Campfire and Co., architect Johannas Design Group, and construction by WillHouse Construction. “The landlord, owner of Carey Burke Carpets, was retiring; he told Kevin about the space becoming available and things took off from there,” said Hägglund. The cocktail bar is named in honor of Jasper Crouch, a Richmonder who became a bartender and caterer after being freed from slavery. He rose to prominence while mixing drinks at Richmond’s historic Quoit club, where famous individuals like Chief Justice John Marshall played the namesake game (a formalized version of horseshoes). The Jasper will be open seven nights a week until 2 am. 3113 W. Cary St.
Tucked away on West Leigh Street in Scott’s Addition lies a place where you can travel back to a simpler time, encounter the glow of neon lights, and relive a favorite childhood pastime–but with beer. 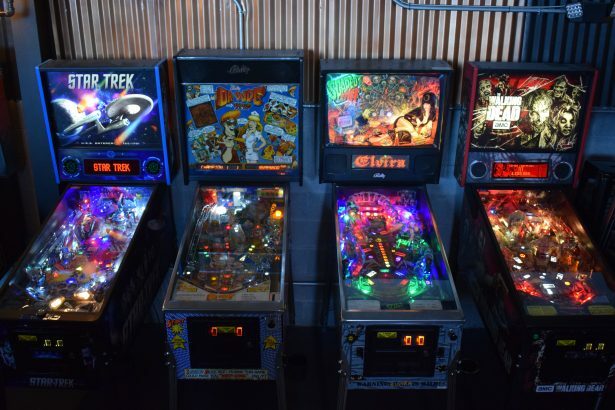 Near the end of October, Robert Lupica opened The Circuit Arcade Bar, a 5,700 square-foot venue filled with over 60 throwback arcade games, pinball machines, and other vintage classics like skeeball and air hockey. A self-serve bar wall with 50 taps flows with craft beer, cider, and wine. With the touch of a few buttons on your phone or kiosk, you can even have food delivered to you. Nostalgia overwhelms the minute you walk into this new, yet retro place decked out with wall art of C-3PO, E.T., Jason, Rocky, and the Rock ‘Em, Sock ‘Em Robots. It’s a strong hook in a competitive neighborhood bursting with breweries, cideries, distilleries, and restaurants. From coin-operated cabinets like Ms. Pac-Man to the original Nintendo games like Super Mario Bros., Donkey Kong, Street Fighter, Teenage Mutant Ninja Turtles, Mortal Kombat, and Tetris, to even older machines like Dig Dug (thank you Stranger Things for reviving that gem), and Star Trek and Jurassic Park pinball games, The Circuit is a ‘80s video game nerd’s dream. Lupica is a longtime Richmond entrepreneur who’s behind several companies. His latest project was launched after a year and a half of tinkering and looking at similar models. The golden age of the arcade sparked in the late ‘70s with the release of Space Invaders, and arcades began popping up in strip malls, restaurants, bars, and movie theaters all over the United States. The trend started to fade in the late ‘80s and early 90s when video game consoles and, you know, the internet began to take over. 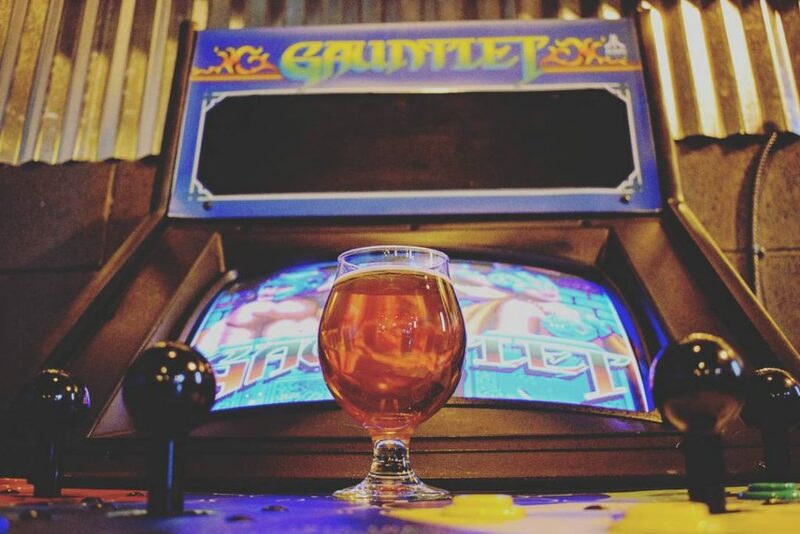 The addition of beer has brought the trend back to life in the last few years, though, with “arcade bars” opening in Los Angeles, Detroit, Philadelphia, and Brooklyn. 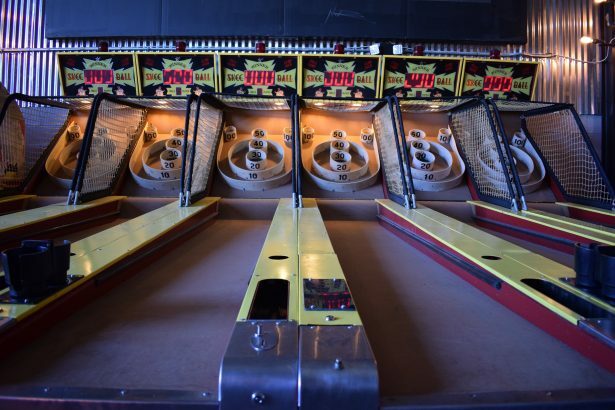 Seeing the Richmond market was lacking an arcade bar, Lupica jumped at the chance to bring one to Scott’s Addition and take the neighborhood to the next level. “It’s up and coming, it’s the beer capital right now in Richmond, and [where] I felt my target customer was going to be,” he said. After purchasing game tokens for a quarter or two, dropping them into the slot, and hearing that ever-satisfying clink, players from 21 to 50 have been seen at Circuit trying to earn the high score, joystick-in hand as they slay dragons, save the princess, and gobble up fruit while dodging ghosts. “They want to go back and play the ‘80s games–a lot of the people, like me, to feel young again,” Lupica said. Galaga, a Japanese shoot-‘em-up game that came out in 1981, was one of Lupica’s favorites growing up, along with Street Fighter and Pac-Man, all of which are playable at Circuit. Despite his target market of older generations coming back to relive their childhood years, Lupica said he does see the occasional younger crowd drop in to play the games, even if they can’t imbibe at the booze wall. “Not a ton, but on a Saturday or Sunday, parents will come in with some kids,” he said. While the vintage games may be a hit, tracking down worthy, functioning cabinets is what kept Lupica from opening sooner than he did. “It was a nine-month hunt,” he said. 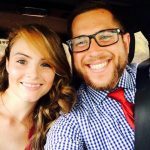 “My friend who lives in another state actually helped me find the games. And they came from all over the place. 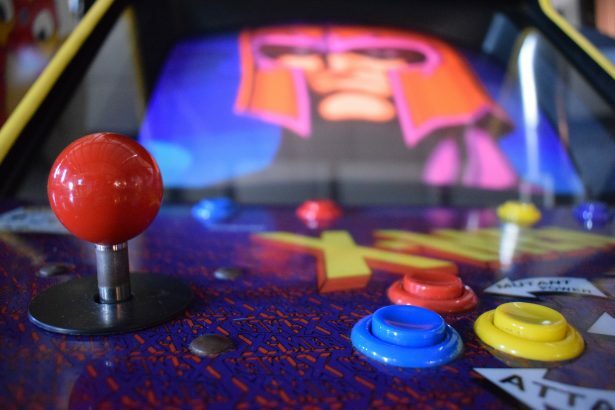 A lot of your older classics that work well are hard to find… We go to auctions, go online, but mainly I rely on my friend to hunt them down.” He’s still trying to get his hands on a Marvel vs Capcom machine and a few classic gun games for the arcade bar. Nineties kids and digital gamers need not despair at the emphasis on arcade games; Lupica has a room in the space that will be dedicated to console video games. Once they work the logistics out, expect original Nintendo, Atari, and other popular console games at the venue for you and your friends to talk smack while you compete in Madden, or try to knock your opponent out with a turtle shell or banana peel. “We’re actually thinking of bringing an eight-player Mario Kart game in here, and do competitions and tournaments,” he said. Circuit’s focus is not on the food, but you can fill up and revive with a small selection of paninis, flatbreads, and other snacks. As for the booze selection, it spans from local staples like Hardywood and Isley to regional breweries, and even brews from across the country like Anderson Valley, Boulder Beer Company, and California’s Ace Cider. To quench your thirst before a quest, you simply purchase a card for the self-serve beer wall, where you pay per ounce. 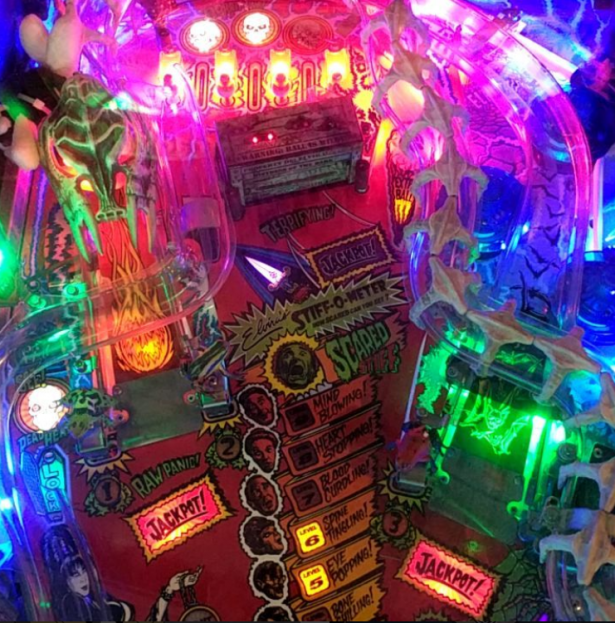 The Circuit has recently added skeeball and pinball leagues on Monday nights, which award winners with a trophy, beer card, and a plaque hung on the wall for all to see. A scoreboard display will also track those holding the high scores for each game, since games are powered down each night. Lupica said he plans to add more games in the near future and rotate games in and out depending on popularity and what he can find. 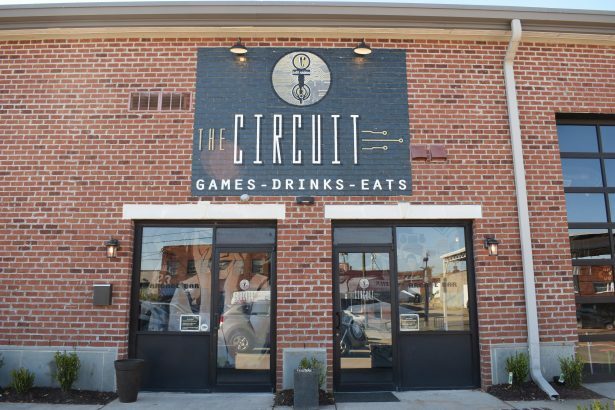 Circuit Arcade Bar is open Tuesdays-Sundays. 3121 W. Leigh St.
Amy David was the Web Editor for RVAMag.com from May 2015 until September 2018. She covered craft beer, food, music, art and more. She's been a journalist since 2010 and attended Radford University. She enjoys dogs, beer, tacos, and Bob's Burgers references. 4 With Club Infuzion Closure, Is Hip-Hop out of Scott’s Addition?